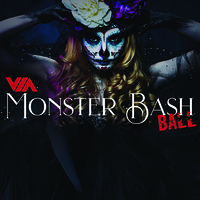 Benefiting Connecting to Success and the VIA Education Foundation, the annual VIA BASH transforms this year into the VIA Monster BASH Ball. Join VIA for an evening of elegant mystery, heart-stopping fun, and world-class entertainment. Sponsorships and tickets now available. Costumes encouraged or black tie.